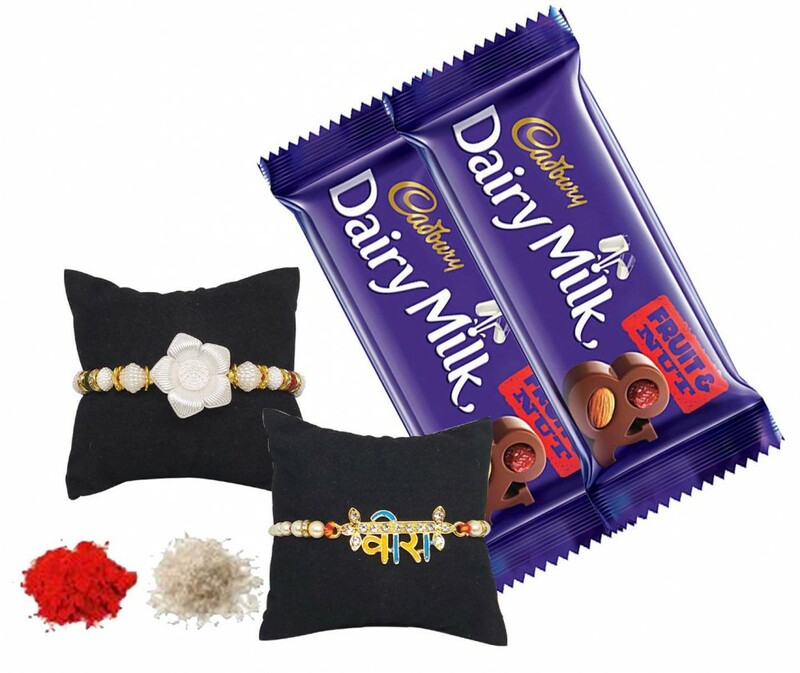 We are all well aware of the fact that selecting the best rakhi gift for sister is no easy affair. 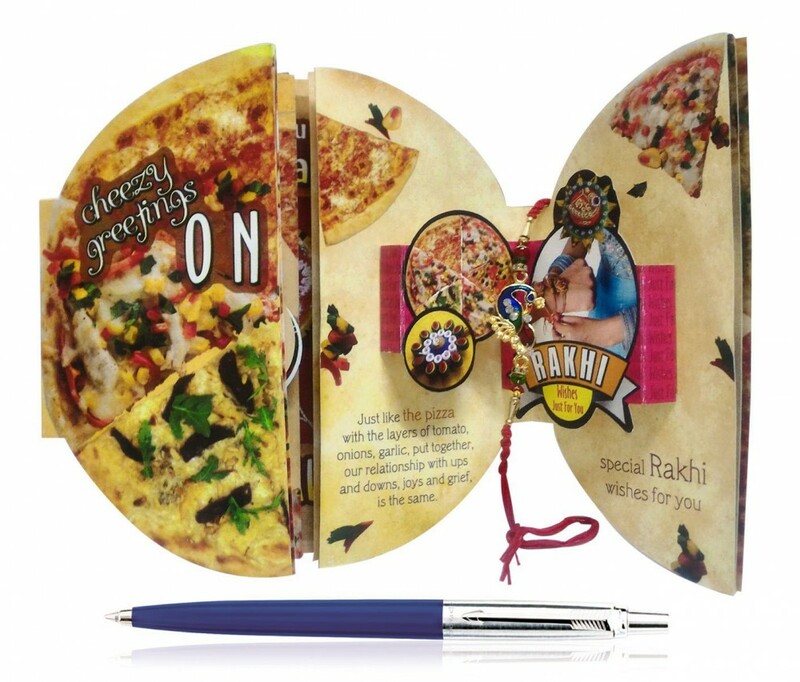 We don't just need to know her choices and tastes, it is even important to know her personality. 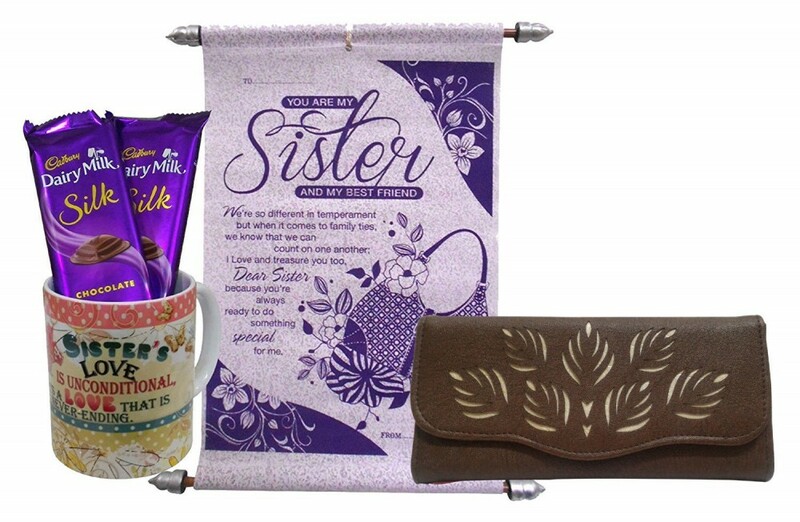 Some of the best gift ideas for a sister on Raksha Bandhan come from the simplest of sources. For instance, buying her a purse that will compliment her new dress is simply common sense. 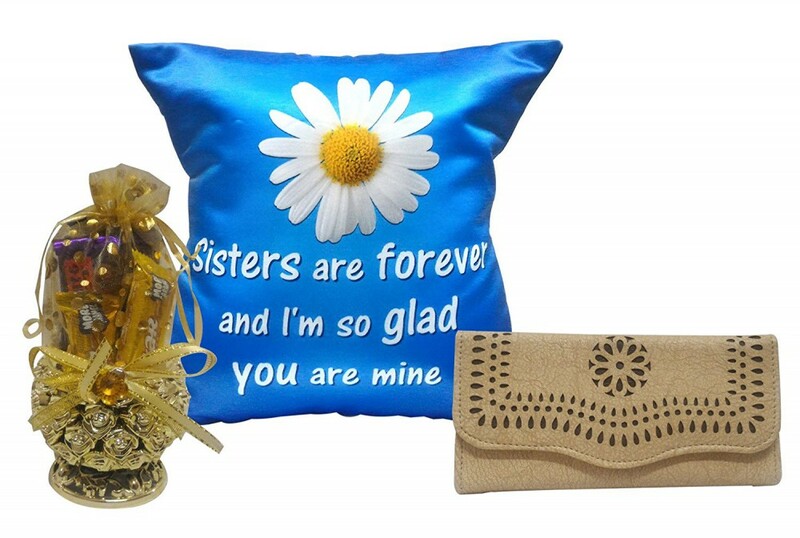 Similarly, one more of the many Raksha Bandhan Gift Ideas for Sisters who are housewives can be home and living items. 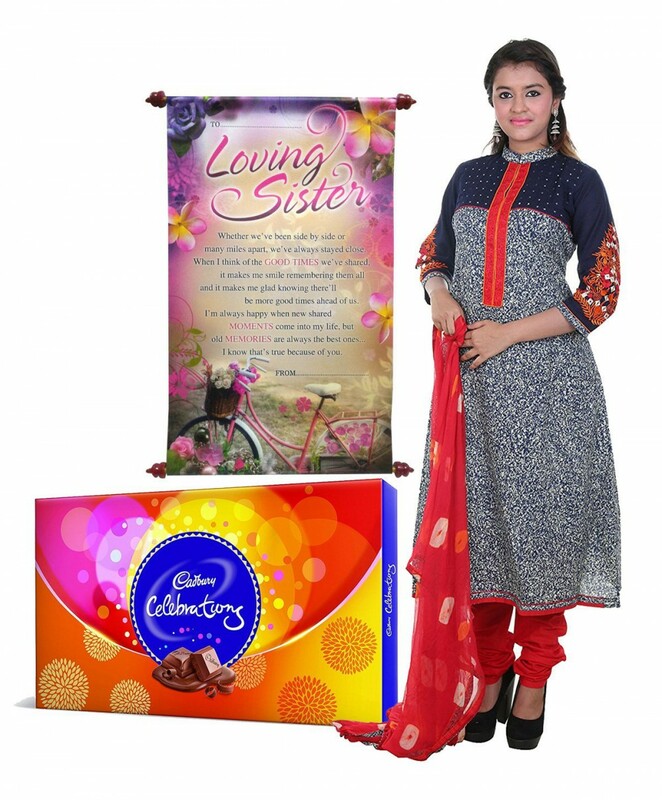 Contemplate your pocket size and the personality of your sister. 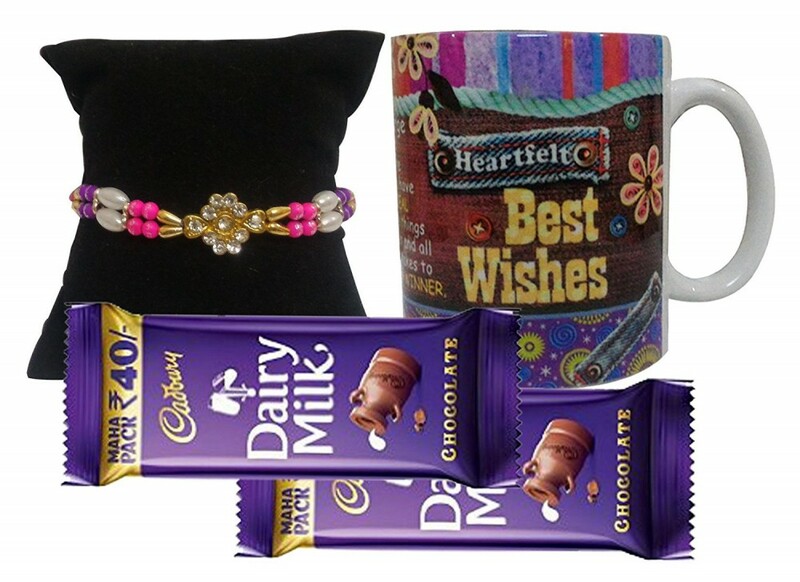 We are sure that you will find something that will match her likes. 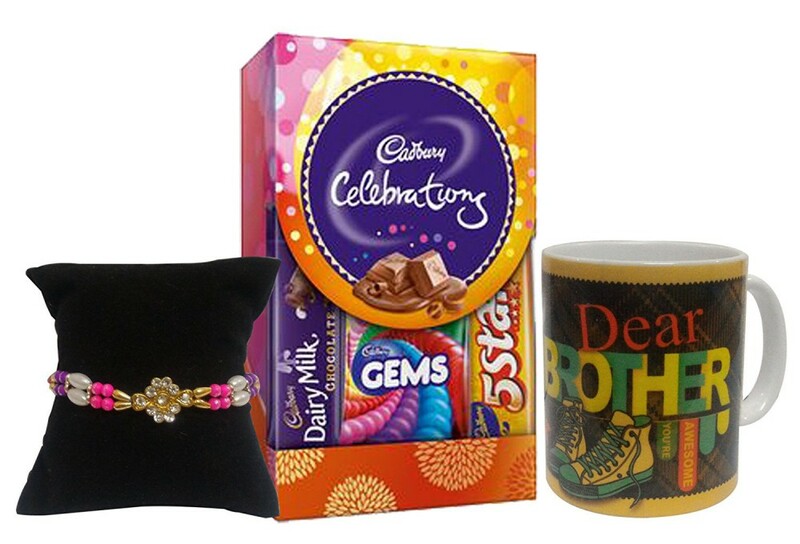 So, this Raksha Bandhan does not leave a chance to bring a smile to her face. 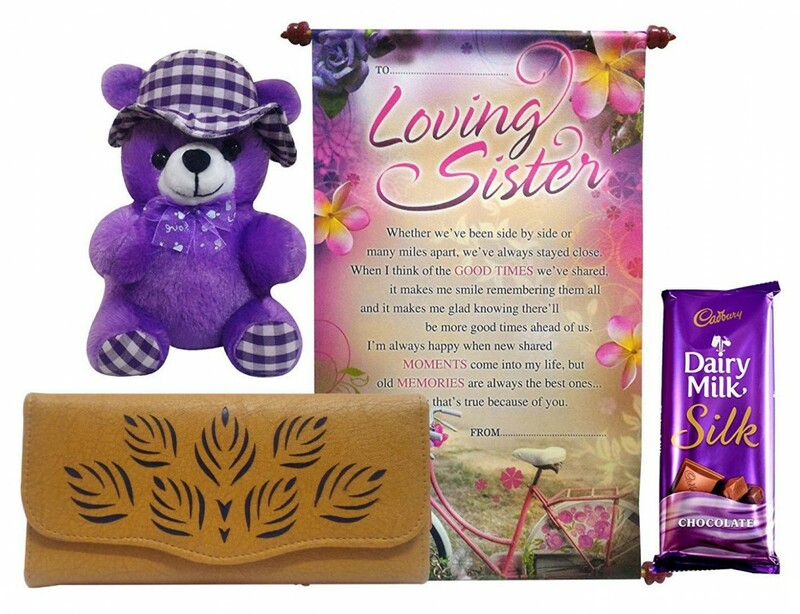 Saugat Traders presents a wonderful gift for sister which includes plush material teddy, scroll card with a sweet message & women's wallet. We take care of safe delivery and packaging.